I hope that you will joing me at Equine Affaire in Springfield, MA at the Big E exposition center tomorrow, Thursday, November 8 at noon. I will be giving a demonstration of CONSCIOUS TOUCH in the Mallory South building. The schedule for all of the demonstrations and clinics is HERE. Equine Affaire is a wonderful opportunity to learn from many, many teachers and clinicians, including the brilliant Mark Rashid. You can also pick up a copy of my book, Our Horses, Ourselves: Discovering the Common Body at the Trafalgar Square Books booth, and survey all of their wonderful equine book offerings. I am really excited about sharing this new work, which integrates my unique perspectives on touch, attunement, and deepening the human-horse conection. See you there!!! This weekend I had the pleasure and privilege of teaching an Embodied Equine Experiencing workshop with two lovely women from Toronto, both of whom equine facilitated educational programs in Ontario.. 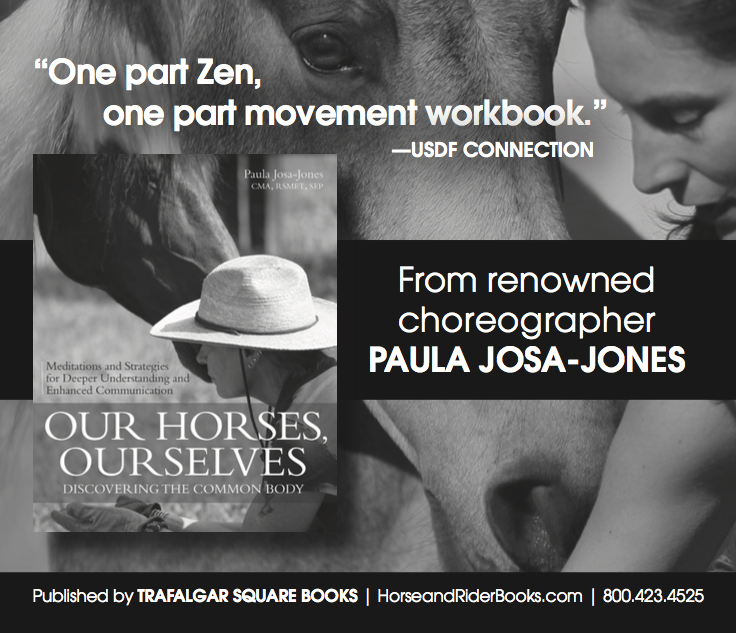 They had found me through my book, Our Horses, Ourselves: Discovering the Common Body. The focus of the workshop was exploring how deepening and grounding our own movement practice can nourish and expand any aspect of our work with horses, whether competitive, therapeutic, or educational. Both are students of Somatic Experiencing, the trauma recovery work of Dr. Peter Levine, so themes from that body-based work wove through the two days. 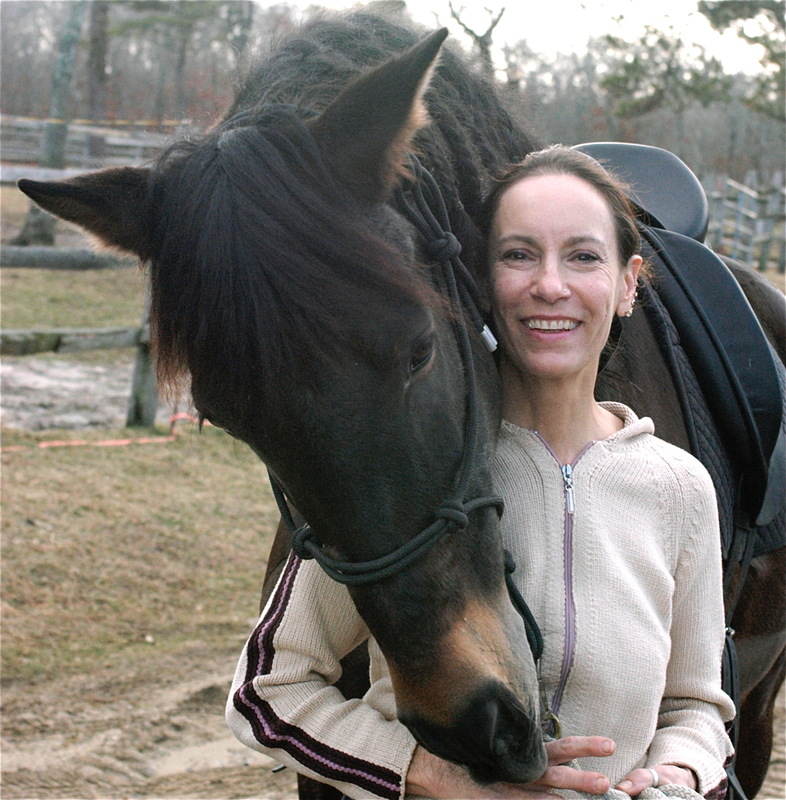 In much equine-related work, I observe that instructors and students are eager to, in the words of Linda Tellington-Jones, “turn on the lights” in the body and mind of the horse. However, the lights in their own bodies are turned off. Airlines instruct us to put the oxygen mask on ourselves first. The same thing applies to working with horses. 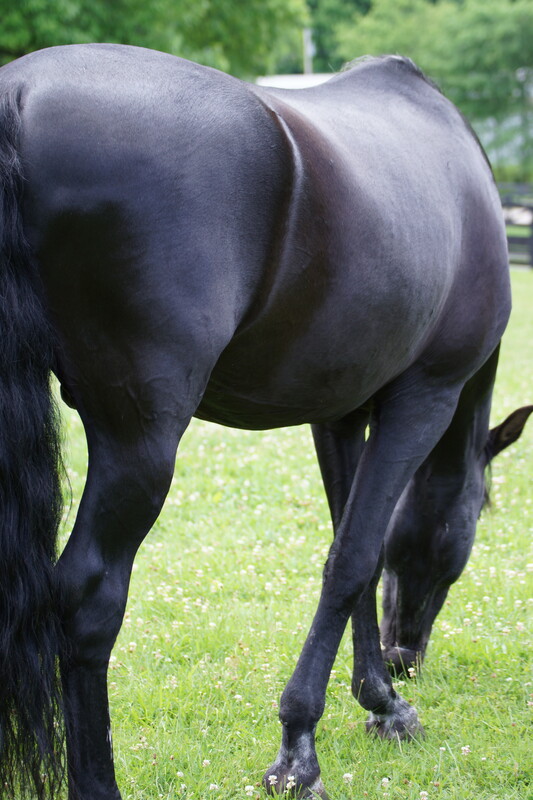 Awaken and enliven your own body first, and then take that illumination and awareness to the horse. Yesterday we worked with connecting our own fluid bodies with the fluid body of the horse. We are, after all 70% water. The results of finding flow, and supporting fluid connection with our equine partners were stunning. With Amadeo, we could feel the lack of fluidity through his lower legs and feet, and by bringing more softness into those parts of our own bodies, were able to feel a profound change as he released his braced contact with the ground. Working with Capprichio was like pouring ourselves into a warm river. Fluids joining fluids. This is a different way of experiencing “body work.” It is not about fixing or doing, but rther listening and joining.If you would like to learn more, you can contact me HERE. I will be giving a demo on Conscious Touch at the upcoming Equine Affaire expo at the Big E in Springfield, MA on November 8 at noon. I hope you can come! Conscious Touch integrates some of the principles of Somatic Experiencing (trauma recovery) touch with what I have been exploring most recently with awareness of fluids and breath. I will be focusing on reciprocity – being touched by what we are touching. Too often our touching is about doing, and we forget to be, and rest in the moment. Touch is a sensory language that we speak with not only our hands, but our entire body. Touch is how we connect, explore, and soothe. Touch brings us into a visceral and immediate sensual relationship with the world around us. When coupled with our other senses, touching is one of the ways that we draw close, decode, and savor. Please join me at Equine Affaire. Besides my workshop, there are hundreds of events, seminars, classes, and demonstrations with terrific instructors and clinicians..
TruDee takes a shot. . .
Join me at the DANCE NOW Festival at Joe’s Pub this weekend!! I will be performing on Thursday, September 6. Acclaimed for its adventurous short-takes format, the DANCE NOW Festival presents a diverse array of works by some of today’s most exciting dance makers. The 23rd season of this lively fall festival will feature 40 emerging and established choreographers, including DANCE NOW veterans and festival newcomers. The Festival’s zany host is TruDee (aka Deborah Lohse). The 2018 festival will take place Wednesday to Saturday, September 5–8, at 7pm, at Joe’s Pub at The Public. A special encore performance will be presented on Thursday, September 27, at 7pm. 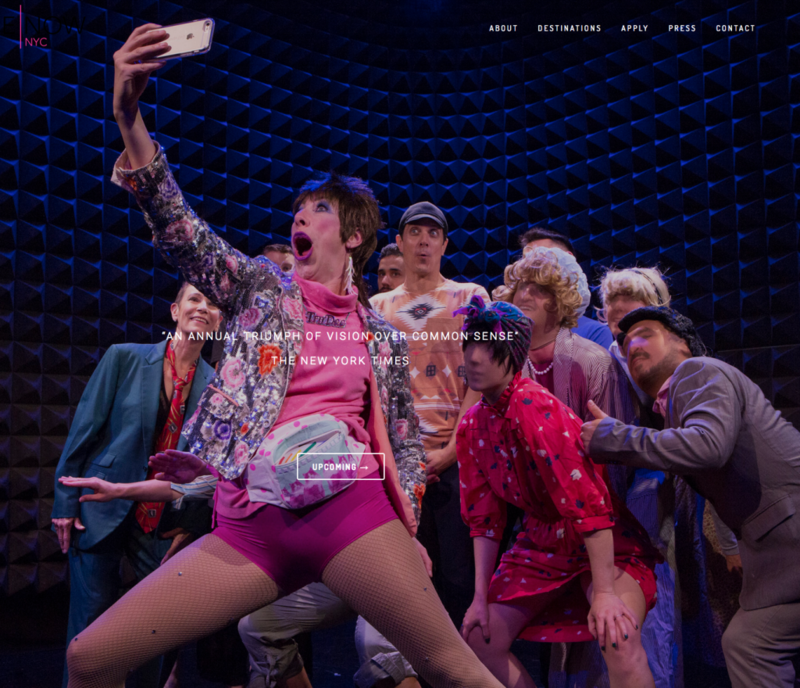 The annual DANCE NOW Festival offers a unique challenge for artists: to create a clear and complete artistic statement in five minutes or less for the specifics of the stage at Joe’s Pub. Each year, the festival producers select ten artists whose work best meets the festival challenge to participate in an encore performance. The overall challenge winner receives a $1,500 development stipend and a weeklong creative residency at DANCE NOW Silo on Kirkland Farm in Bucks County, PA.